For many brands, crafting the perfect pitch email can make or break the launch of their product or service. So creating pitches that get opened by clients, builds trust by providing value, and encourages clients to take the next step, is crucial for anyone with a digital sales funnel. 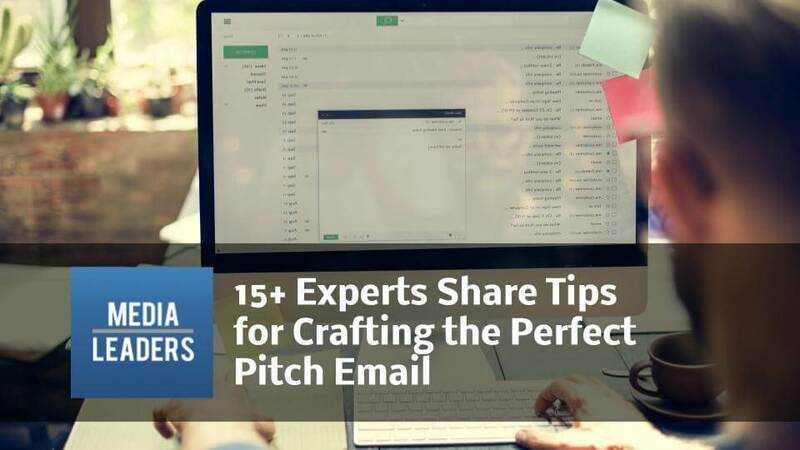 With all of the conflicting advice on how to create perfect pitch emails, we set out to cut through the chatter and gather the very best tactics. 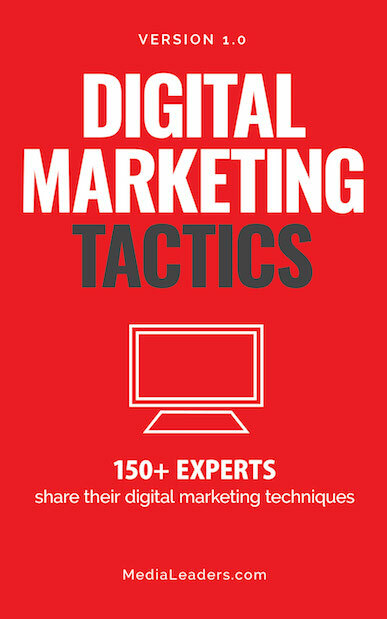 We asked over 15 experts to share their best email pitch tricks for digital marketers who want to boost their sales. The most important trick to getting your email read is in the research before you even send it. Take the time to build a list of recipients that will truly be interested in your actual value proposition and then telling them what you do in plain English - and in just a couple sentences. So many people's email lists go out to groups of people that aren't the perfect fit for your product, but instead just a list you bought or cobbled together from sources like who attended a conference. Building a targeted list of recipients is the secret to a truly successful campaign. Emails are constantly being deleted, especially from unfamiliar senders. To ensure your emails are read make the headline feel personalized and relevant to the users. Make the first sentence count as it will determine if the reader will continue reading the email. The content must be straight to the point and intriguing to keep the reader engaged. Think from the recipient's point of view and you will have an easier time writing an email that resonates with your audience. The trick to writing a great email pitch is to offer a compelling message with real value. The very best way to get a response to a pitch email is to not make it a pitch email. The people we’re trying to reach are inundated with a relentless barrage of spammy, jargony offers, requests, and sales tactics that beg to be deleted. We simultaneously delete those emails but can't resist sending them ourselves. A straightforward, personalized note is both shockingly rare and enormously effective. The person who is going to see your email probably gets hundreds of emails a day and most of them can look like spam. This can significantly impact the chances of your email actually getting read. So, by having a domain based email (ex: email@company.com) and a custom signature, that contains the company logo and contact information, will most likely increase the chances of your email being read. It also shows consistency and helps people recognize your brand. When sending an email you should focus on two things. First, stay away from templates. The person you’re sending an email to most likely receives hundreds of email throughout the week. If it looks like a template they know you put little to no effort in what you’re doing. So be real, be yourself, and put thought into what you’re sending them. Second, know who you’re sending an email to. Do research. Give them something you know they need or will help them. Start building a relationship. It’s better to focus on sending one email that will actually net you something, rather than sending one hundred with the hope and pray method. There is no way to overstate the importance of the follow-up. I have had so many pitches succeed as a result of a second email contact because my original pitch was lost in their inbox. Don’t just forward your original pitch with the same subject line. Copy and paste the important content of your original pitch and explain why you are sending it again. Follow-up is vital, but don’t be annoying - if you don’t hear back after the second email, leave it alone until you have an alternative approach. A successful email pitch begins by providing the reader with both an incentive to keep reading, and introductory information that sparks interest and holds attention. 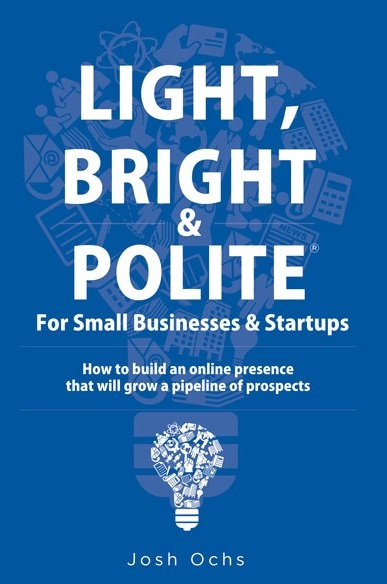 What most people term as niceties, or excessive etiquette, really doesn't have any place in a pitch. The writer must get rid of all fluff, and make sure he or she focuses on clear sentences and direct phrasing. That is to say, there should be no thought that isn't contained within one sentence. That being said, a sentence must be able to follow the last and build on the reasoning of the last. Although I said pitches must lack niceties, it is also important to keep email pitches as politically correct as possible. An individual should never assume the gender, sexual orientation, religion, race, or political leanings of the reader. Pitches should be a way to get the attention of the reader, while also feeding the reader with the respect they deserve. Highlight or italicize important information in your email. Journalists, bloggers, and influencers receive pitches all the time. It's unlikely your entire message will be read if it's more than a few sentences. By emphasizing key aspects of your pitch, you make it easier for the person receiving your message to decide quickly if it is of interest. They will appreciate your consideration. Create an interest-piquing title (my go-to ones are quick question or RE: checking in), and an email that covers the details in a way that shows the value to the recipient; and most importantly makes the call to action a phone call or in-person meeting. Deals are almost never done purely from email, so use it as a way to build interest and get a spot on their calendars for 15 minutes (visits are always better if they’re accessible and local). Pitches should take no more than 30 seconds to ‘skim and get.’ Set a timer. Recipients should be able to digest your email and know exactly what you’re pitching and why in half a minute. Make sure your email is accessible: Short, concise paragraphs, bulleted talking points, and a brief bio so your client can get to know who you are. Never use “expert available” or “story idea for you” as your subject heading. Be specific, and to the point, from top to bottom. If your client gets confused, it’s a no. Every time. First send one email to compliment your customer on a something they have done. Don’t pitch or mention anything about your company or services. Within a week you’ll reach back out and mention something about your product or service. Establish a nice base first and then dive in. One of the best tips for any email pitch is to add value beyond advertising your products. If you have an email newsletter or have recently been published on another website, don't be afraid to include a mention of it at the bottom of your email. In addition, it is a great idea to offer connections with other companies in your industry. We often offer to connect our potential clients with other companies in our email blasts. This type of 'value' for the end user is perfect for small businesses as it is a chance to network with other companies and share potential clients. A successful public relations campaign hinges on email communication, and all starts with a compelling pitch. Keep your messages concise, strong and easy to digest; make sure it’s as short and sweet as possible while including relevant facts. If you are pitching a complicated topic, be sure to break it down into small chunks or bullet points. Also, remember to link to additional details if your client wants to learn more. a polite and accessible ending. There is no way to make sure that your email gets read. That's why it's really important to know whether an email has been opened and if the target did what you wanted them to do. Then you have to have follow up emails based off your intended goal. For example, let's say that my target didn't even open the email. Well, I'd send them an email about a week later with a different headline. They open that email but don't click on the link. So, I’d send them a follow-up email with other benefits to get them to click on the link. In another example, my target opens their first email, click on the link but doesn't order. Well, I might send them an email offering a free consultation. While this method is extremely profitable, there's no way to ensure your email gets read. Creating an email layout that stands out is one of the best ways to ensure your email gets read. A prominent company logo, links to social media pages, paragraphing that makes the email easy to read and an informative subject line are all good ways of catching the reader’s attention straight away. My number one email pitch trick is to make your email personal and detailed. Always write the recipient’s name correctly and reference their work. You want to show they really matter to your brand and aren’t just another name on a mass email list. Use details to write the story, article, and pitch for them. State “this is why X, Y, and Z are perfect for…” exactly what they are looking for. Writing the complete subject material gives a full understanding of how your product fits into their vision and doesn’t leave them to question how it could work.